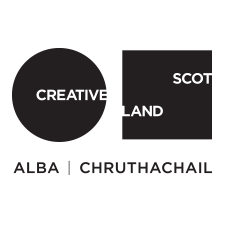 The Highland Council’s Arts Promoters grant is available to help with the cost of organising an annual programme of performances or exhibitions by visiting groups and artists. Grants of up to £1200 per year are available to properly constituted, non-commercial organisations. However, we have had confirmation from the council that the budget for this fund will be significantly reduced, from £38,000 in 2016/17, to £22,000 in 2017/18, and unfortunately the fund will no longer exist in 2018/19. At this stage we are unsure whether the council will provide an alternative fund to assist community activity such as promoting live performance events. We highly recommend that Promoters in the Highland Council region apply to this fund while they still can. For more information, and to apply, please visit the Highland Council website. If you would like our assistance with your application, please get in touch. We would also be interested to hear from those Promoters who currently access this fund, and are concerned about the lack of funding available in 2018/19. If you have completed your Touring Network membership renewal for 2016/17* you will have told us how much funding you receive, however, we would be interested to hear more detail. Please email us to let us know how much funding you currently receive from the Highland Council, so that we have a better idea of the funding gap for Touring Network promoters. We are investigating ways that The Touring Network might be able to seek alternative funding to fill this gap. *If you haven’t completed your renewal form yet, we would appreciate if if you could do so as soon as possible.